Saint Nicholas came in the country today. He passed our house very close, in in a boat. We stood on a little bridge over the canal, as we do each year, to welcome him in. He will be staying here until the fifth of December. 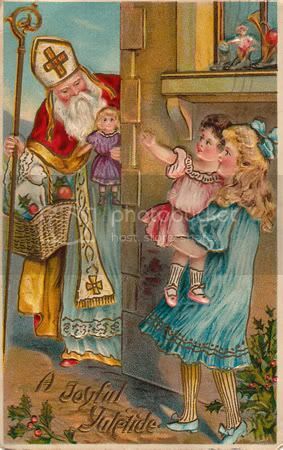 I just remember now I need to put the shoe of my daughter near the window, so Saint Nicolas can put a present in it. She has forgotten it.